Poppy benefits the health because it contains various minerals such as iodine, zinc, manganese, magnesium, and copper. Moreover, it helps avoid cardiovascular diseases and facilitates the treatment of nervous disorders. Poppy seeds are available two varieties, that is, blue-gray (common in Western countries) or off-white (common in Middle Eastern countries). 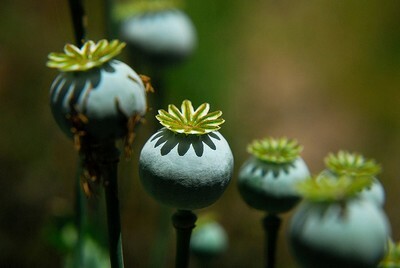 Unlike other parts of Opium Poppy, the seeds of this plant do not have narcotic effects. These seeds are derived from poppy flower seed pods. Apart from therapeutic purposes, poppy seeds are used in certain culinary preparations as well because of their distinct nutty flavor. They also have ornamental value. Poppy seeds are native to the Mediterranean region east to Iran. This herb is particularly grown in India, China, Iran, Turkey, Canada, Holland, etc. It belongs to the Papaveraceae family. Poppy seeds have analgesic, astringent, anodyne, carminative, expectorant, emollient, demulcent, sedative, and aphrodisiac properties. This herb serves as one of the best natural home remedies for insomnia. 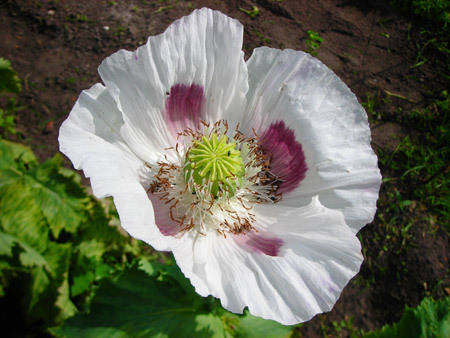 Moreover, it is believed that the oil extracted from the seeds of opium poppy benefits in the treatment of breast cancer because it contains oleic acid. Plus, poppy seeds protect against heart disease because they contain linoleic acid. Oleic acid present in poppy seeds is considered useful in reducing blood cholesterol levels and lowering blood pressure. In addition, this herb aids in digestion and used in curing ailments like nausea, vomiting, diarrhea, indigestion, etc. Being a good source of carbohydrates, poppy seeds enhance the energy levels in the body. It provides relief from common cold, cough, whooping cough and symptoms of asthma. Furthermore, poppy seed paste helps soothe burning sensation, itching and swellings. Benefits of poppy seeds can be derived for muscular and neuralgic pains, too. Poppy seeds also facilitate the treatment of kidney stones. Opium is considered helpful when dealing with rheumatism, syphilis, tumors, carbuncles, and so on. The phosphorus and calcium present in poppy seeds help increase your bone density, thereby controlling osteoporosis. Poppy is loaded with minerals, fatty acids and enzymes. Moreover, it is rich in thiamine, riboflavin, lecithin, amorphous alkaloid, oxalic acid, and pentosans. Poppy seeds are rich in protein and dietary fiber, too. This herb is usually available in the market in the form of poppy seeds, poppy seed powder, poppy seed extract and poppy seed paste. • Occasionally taking a teaspoon of poppy seed oil before going to bed works as a valuable natural cure for insomnia. Besides, you can prepare a paste by grinding 10 almonds (soaked in water) and a tablespoon of poppy milk (milk extracted by crushing soaked poppy seeds). Apply this paste on your soles and palms before bedtime to induce sleep. • Mix 100 g poppy seeds, an equal amount of powdered melon seeds and a teaspoon of water to form a paste. Consume this mixture in the morning and evening to lower blood pressure naturally. Follow this therapy only for a few days. • A paste prepared from the seeds of poppy benefits in healing eczema. Moreover, application of one tablespoon of poppy seed paste mixed with a teaspoon of lime juice is useful in relieving dry itch. • Regularly applying poppy seed paste under eyes helps cure dark circles. Using a mixture of powdered poppy seeds and milk clears blemishes. • A poultice prepared from poppy seeds can be used to heal swollen and painful joints. • Applying a blend of crushed poppy seeds, Indian lilac leaves and milk helps in getting rid of prickly heat rash. • Digestive benefits of poppy can be derived by having a mixture of roasted poppy seeds (a quarter teaspoon) and honey. It works as a home medicine for indigestion. Having finely ground poppy seeds relieves diarrhea. • Add two teaspoons of poppy seeds and three teaspoons of liquorice root in a cup of water and boil the solution for about 10 minutes. Finally, strain the liquid and drink it two times in a day to reduce coughing. • When dealing with dandruff, take half a cup of poppy milk, an onion, a teaspoon of black pepper and grind the mixture. Rub this paste on the scalp to get rid of dandruff naturally. • Another benefit of poppy is that it helps cure sexual debility. For this, you need to soak one teaspoon each of poppy seeds, fenugreek seeds and wheat grains in water overnight. Next morning, grind the soaked seeds and add some milk and sugar in the mixture. Consume this paste for a few days. • Simply consuming half a teaspoon of poppy seeds serves as an efficient natural home remedy for asthma. 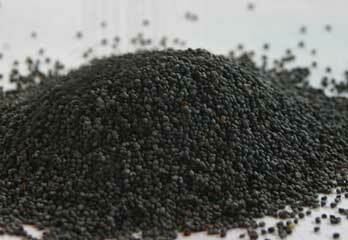 The bluish-black variety of poppy seeds is extensively used in baking products, especially breads. Oils extracted from poppy seeds are used in various medicines and drugs. Poppy benefits health in numerous ways and is less allergenic as compared to other seeds and nuts. Nonetheless, make sure you do not use this herb in excess as taking large quantities of this herb can give rise to health complications. Moreover, even though poppy seeds have low alkaloid content, it can affect drug tests. THIS SITE HELPED ME TO FINISH MY PROJECT.